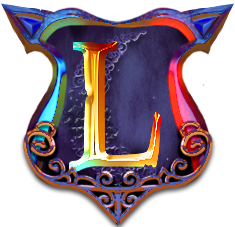 LadyHope posted the thread [Maintenance] April 18, 2019 in Changelogs. LadyHope posted the thread April 15, 2019 in Changelogs. Jger liked LadyHope's post in the thread NEWS | Acquisition - Phase I Released!. LadyHope posted the thread April 9, 2019 in Changelogs. LadyHope posted the thread April 8, 2019 in Changelogs. LadyHope posted the thread [Hotfix] April 8, 2019 in Changelogs. LadyHope posted the thread April 7, 2019 in Changelogs. LadyHope posted the thread April 6, 2019 in Changelogs. LadyHope posted the thread [Hotfix] April 6, 2019 in Changelogs. LadyHope posted the thread April 5, 2019 in Changelogs. Cloaked Occultist liked LadyHope's post in the thread NEWS | Acquisition - Phase I Released!. Cloaked Occultist liked LadyHope's post in the thread Farm World Reset. The resource realm (Remynn) has been reset (new seed, same spawn area) with Acquisition Phase I.
LadyHope posted the thread April 4, 2019 in Changelogs. Divitto liked LadyHope's post in the thread NEWS | Acquisition - Phase I Released!. Krantz liked LadyHope's post in the thread NEWS | Acquisition - Phase I Released!.